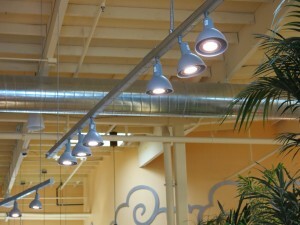 The New Leaf Community Market Westside location made a significant conversion to LED lighting six months ago. Co-owner Rex Stewart wanted to enhance the store environment, save energy and reduce the effort and waste of changing failed bulbs. The conversion to LED lighting included retrofitting the enclosed refrigerated cases and changing out 150+ overhead lamps to LED PAR 38′s. 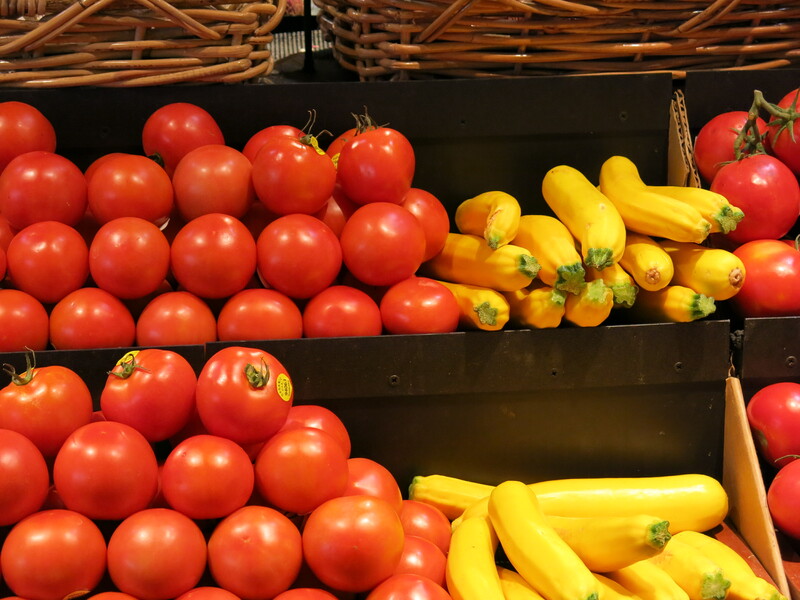 The improvements were part of a larger energy savings program that Energy Smart Grocer worked with Rex on. 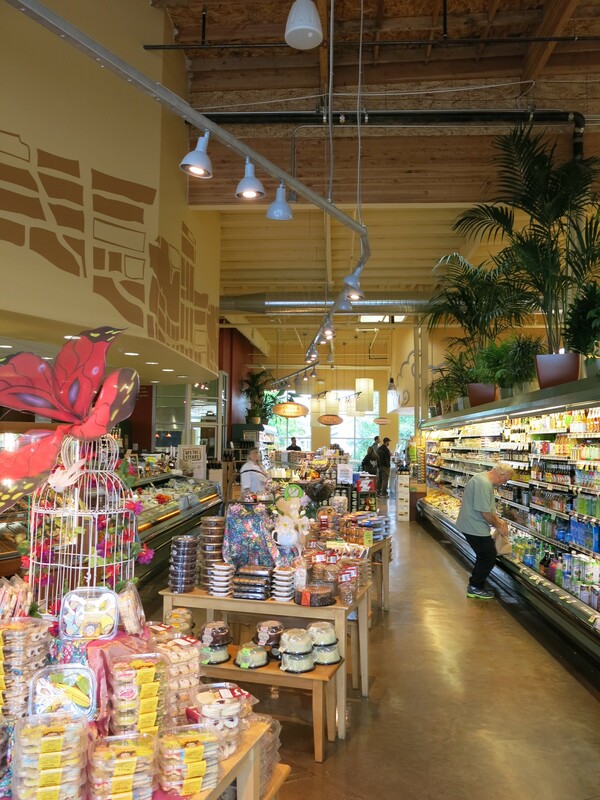 Energy Smart Grocer is a third party funded by PG&E, in this area, to help grocers reduce their operating costs through energy-efficient upgrades. With six months of operating experience with the new LED lights Rex is satisfied with the results. The store and merchandise are nicely lit, the lamps have not needed replacing and he estimates they have reduced the stores electricity consumption by about 12%. 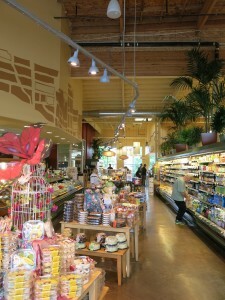 The overhead LED lamps light the main aisle that runs around the perimeter of the store. The variety of merchandise being lit by these lamps ranges from baked goods, to packaged goods, to produce. The amount and quality of light shows the merchandise off very well while enabling shoppers to move easily through the store. The lighting in the center aisles of the store, while not LED, is done with crisp, efficient fluorescent T5 linear bulbs. 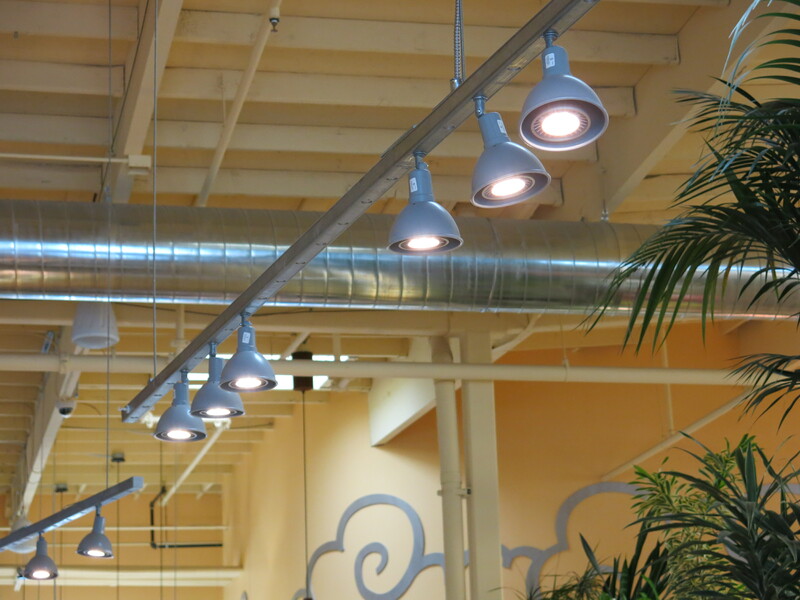 The lights along the perimeter work areas such as the deli and meat counter are energy efficient CFL.